The durable steel wire retractable reel RT-23S are designed for long time use. 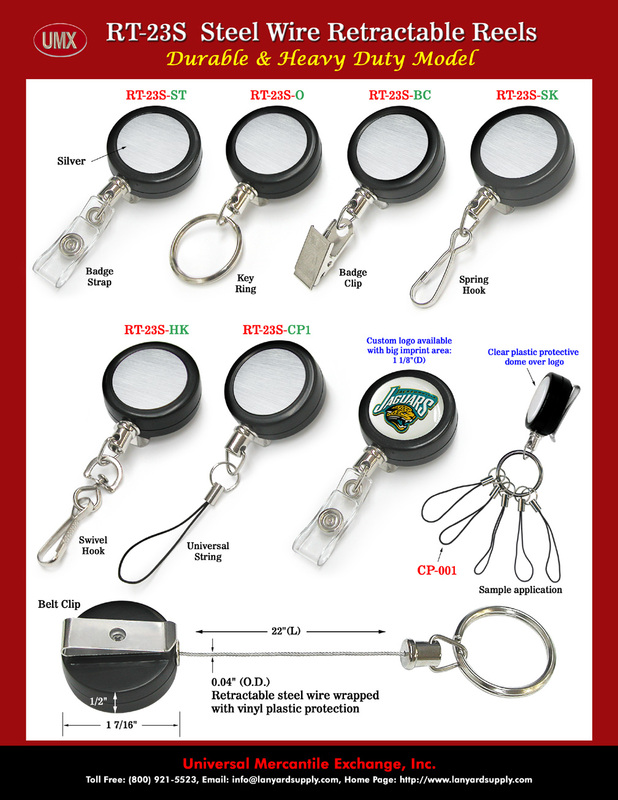 The RT-23S come with 6 hardware attachments available, badge straps, badge clips, key rings, swivel hooks spring hooks and universal cell phone style of string. The durable steel wire is wrapped with vinyl plastic layer to provide protection. Custom logo imprinted or laser cut sharp logos available.